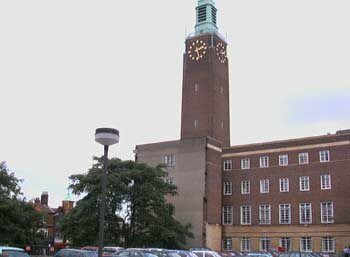 Norwich city centre is dominated by the City Hall, the seat of the local government. 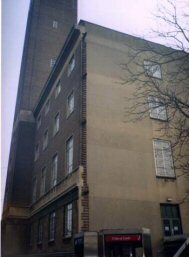 Built in 1938 it sits at the head of the ancient market place. Only two of its intended sections were built, the third sits as a raw end to this day. Text and photos taken from Unfinished Norwich.